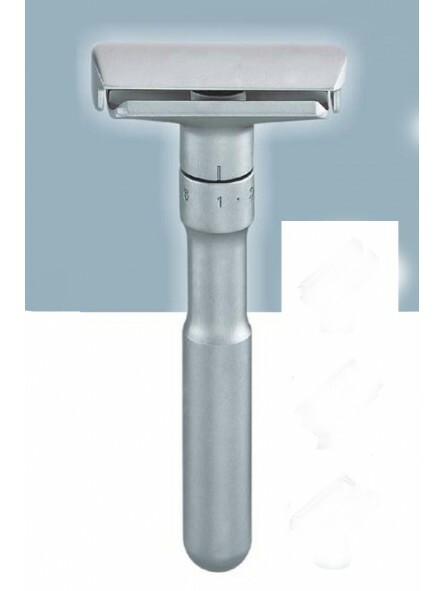 Merkur Future Adjustable Dobuel Edge Safety Razor, Satin Chrome, has an extraordinary and modern design. It features an easy and quick system to replace blades. It can be adjusted in 6 different positions. 1 to 2 recommended for beginners. 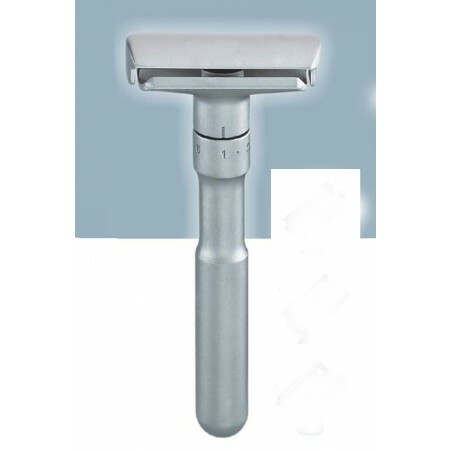 Progressively when you will fill confident adjust it at higher numbers to provide you a more aggressive and closer shave.